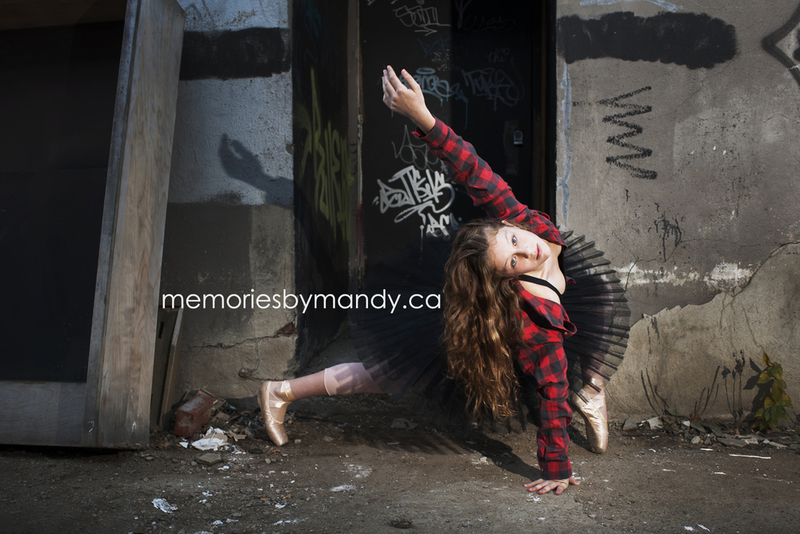 As promised here are some of the gorgeous images we got of these beautiful ballerinas. I photographed this stunner a little longer than the others as a thank you for organizing the whole session as well as a little added bonus for being family. I still can't get over how much she has grown up. With her grace and beauty, you can't take your eyes off of her. Last year around this time I went to Calgary to visit family and while we were there, my sister-in-law, who also happens to be an extremely talented dance teacher, wanted to gift a dance mom a totally unique gift. 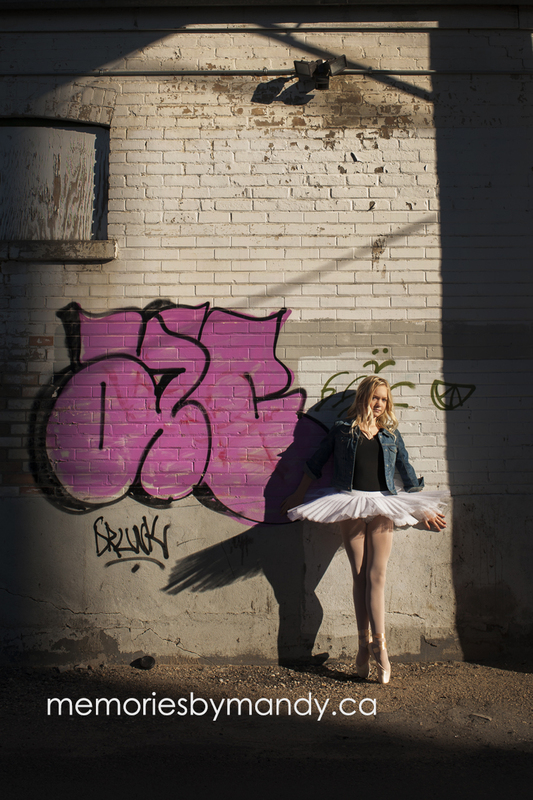 Photos of her daughter, in pointe shoes, in an urban setting. Needless to say the gift was a total hit! You can see more of her images HERE.